We are a craft gin distillery and herbal apothecary in Widcombe, Bath. We have created a range of gins and herbal elixirs that harness the history, benefits and unique flavours of plants. Quality and craftsmanship matters to us. Wherever possible ingredients are locally sourced, organic, biodynamic and hand-picked. Each bottle is created, filled, waxed, labelled and numbered by hand. We distil our No.1 Gin onsite in our Kothe Copper Still in 30 litre batches, so we can ensure each batch is as flavoursome as the last. Our No.1 Gin is a juniper led, London dry gin with a fresh twist. We use hand-picked lime flowers from Bath and the surrounding area in our gin to capture the fragrant flavour of the south-west countryside in summer. We have a unique method of distillation that creates the distinctive full-bodied flavour of our gin. We begin by steeping our botanicals for 24 hours before distillation to create a greater depth of flavour and the rest i'm afraid will have to remain a secret. We infuse locally grown bio-dynamic and wild foraged fruits with our No.1 Gin to create our seasonal Fruit Gins. Bio-dynamic farming is an organic, holistic farming approach which is reliant on the ecological health of the farm land to grow crops in tandem with astrological cycles and the plant calender and not on artificial chemicals or fertilisers. Alcohol is an excellent extractor of flavour, by using wild and bio-dynamic fruit we can ensure ZERO pesticides are extracted into our fruits gins, just nature at its best. We refrain from adding artifical colourings or flavourings, seasonal picking and steeping gives our gin heaps of natural fruit flavour and colour. No.2 Grapefruit, our No.1 is infused with fresh pink grapefruits to create a bitter-sweet citrus gin. No.3 Citra Hop, our No.1 is delicatly infised with fresh Citra Hops creating a bitter, smooth, citrus hop flavour. Traditional preparations of herbal medicines use a combination of water and alcohol to extract the therapeutic properties of plants. 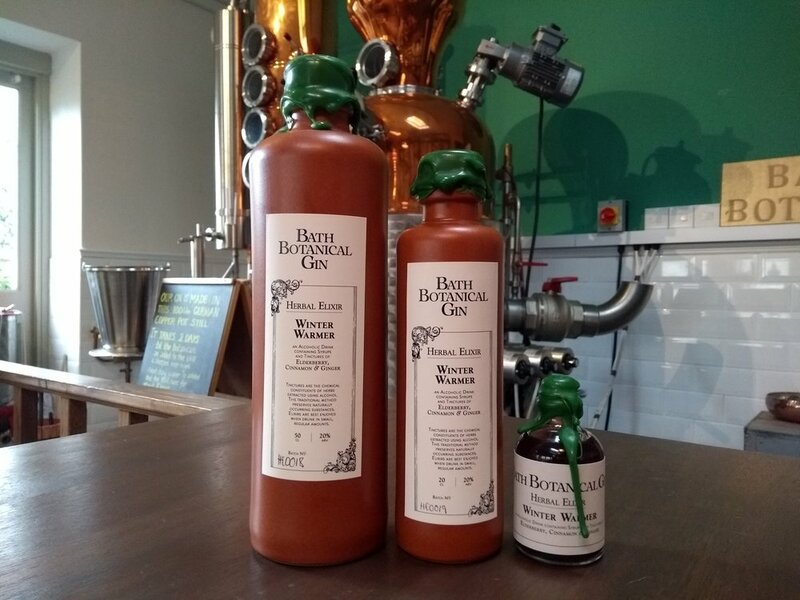 Our Herbal Elixirs combine our passion and knowledge of herbal medicine with our gin to create a herbal remedy that can be enjoyed as an aperetif. Our range of seven Herbal Elixirs are best served straight without tonic, so you can taste the unique combination of herbs and the botanicals of our No.1 Gin. Bitter tasting plants, fruits, roots and berries have been steeped in alcohol and water throughout history and used to stimulate the digestive system. Some of the famous brands we know developed and consumed as medicines. We create our bitters by steeping fruits and herbs in our No.1 gin and distilled water to extract the properties of the plant material. Bitters can be used create a complex flavour profile in cocktails, aperitifs and digestifs. A few drops can be to gin to add different flavour profiles, or simply added to tonic water as a refreshing low alcohol drink. We want to make it easy for everyone to benefit from the use of herbs in their daily lives, our range of products that can easily be encorporated into your daily routine. Herbal Teas - loose leaf, organic herbal tea blends to be infused in hot water. DIY Kits - we provide the ingredients, instructions and some equipment for you to create your own herbal products at home. 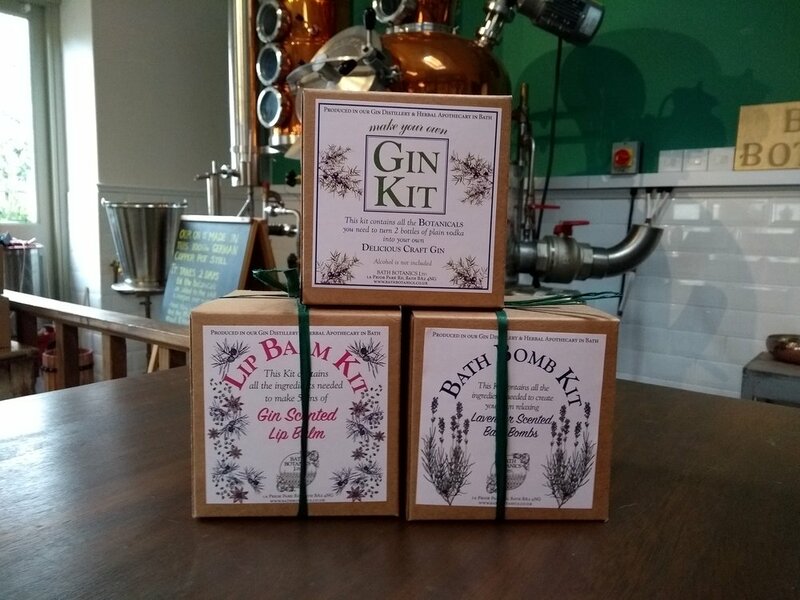 These include a Make Your Own Gin Kit, Make your own Gin Scented Lip Balm Kit, Make your own Lavender Scented Bath Bomb Kits. Calendula Mouth Wash - Calendula tincture can be diluted in water to create a herbal mouthwash.